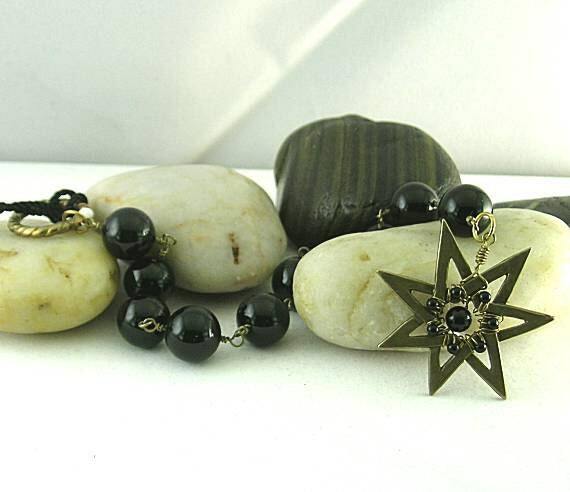 This paternoster has ten 14mm onyx beads connected with wire-wrapped links. 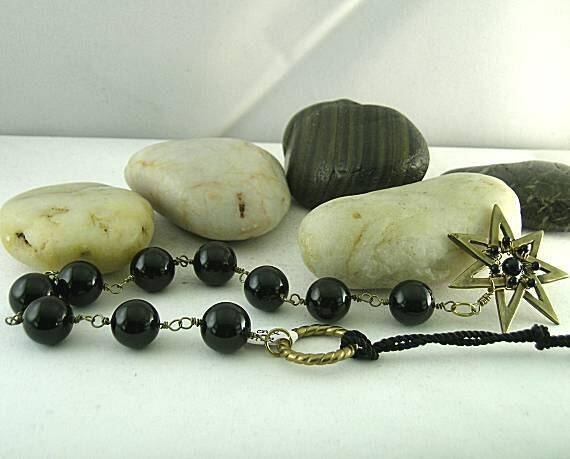 At one end is a handmade reproduction of the star in Catherine of Cleves chaplet embellished with wire-wrapped 3mm onyx beads and a 6mm in the center. 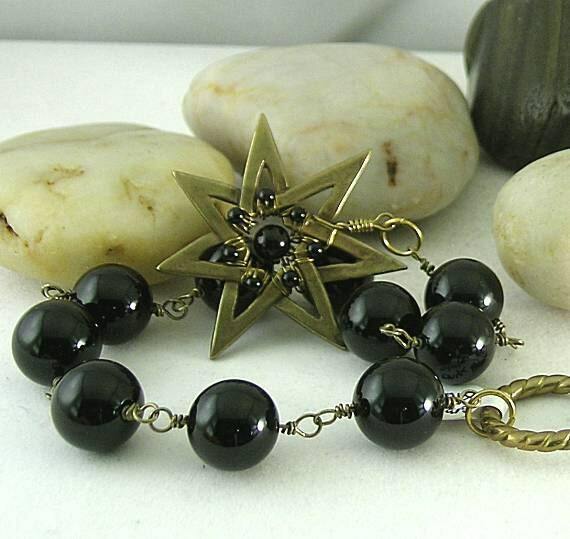 This star is made of bronze and measures approx. 1 3/4 inches (44mm). The 7-pointed star represents perfection (God) and the 7 gifts of the Spirit - Isaiah 11:2-3. 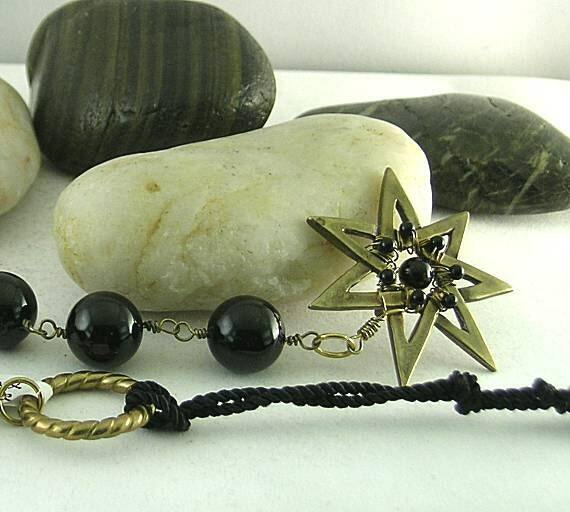 On the other end it has a handmade bronze twisted ring (size 5-6) with a cord for hanging. The tenner is approx. 12 1/2" long not including the cord.